Name : FOUR ESSENTIAL BUDDHIST COMMENTARIES. 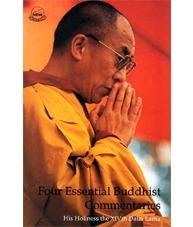 The Four Essential Buddhist Commentaries provided by His Holiness the XIVth Dalai Lama are on The Thirty Seven Bodhisattva Practices by Thogmed Zangpo; Three Principal Path by Je Tsong-khapa,The Eight Verses on the Training of the Mind by Geshe Langri Thangpa and The Song of Four Mindfulness by Seventh Dalai Lama.The first two commentaries have been given under the Bodhi tree at Bodh Gaya in January 1981 and the last two in Switzerland in July 1979. All the commentaries are preceded by their original text in Tibetan with their English translation. 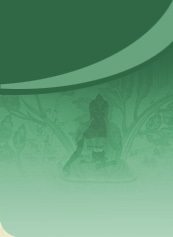 With His Holiness’s constant emphasis on compassion and human brotherhood as the only weapon that can foster true spiritual growth and solve the many ills of society which threads all the four commentaries, readers will certainly realise the remarkable relevance of the Buddhist teachings by the great Tibetan Buddhist teachers of past and present to our contemporary society.